Rice University students participated in the Forum’s 12th annual Engineers Week Student Competition, “Crick World Cup,” held on February 20, 2019. The goal of the problem supplied by Fluor Corporation was to build a bowling device to serve a ball from the bowling zone to the batting zone and then direct the ball with a batting device towards different parts of the cricket field to achieve the required number of runs. 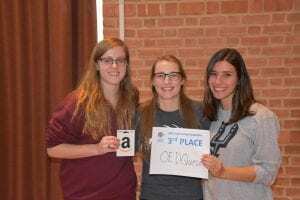 The event sponsored in part by the Fluor Corporation gave the same challenge to its engineers on the same day at its facilities around the world. 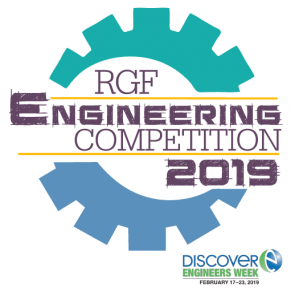 The competition’s main sponsor is the Rice Global Engineering & Construction Forum and Rice’s George R. Brown School of Engineering. 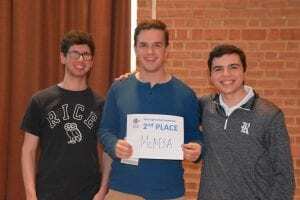 Rice is the only academic institution that took part in the challenge. 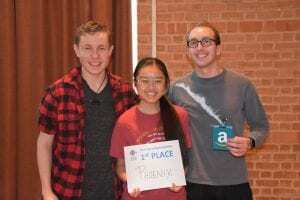 The students, who didn’t have to be engineering majors to enter, did not know what the task would be before arriving for the competition, but quickly became immersed in a flurry of problem solving. With limited time to plan, construct and demonstrate their solutions, all under the watchful eyes of judges, the teams raced the clock and each other. The lively competition was followed by pizza and soft drinks which were thoroughly enjoyed by competitors and judges alike. Judges from companies sponsoring the Forum participated in the event. Prizes awarded were for First, Second and Third places. Members of student team Phoenix won $150 each by placing first with a score of 604 points; McM3A claimed second place money of $100 each with 587 points; and team OEDQueso placed third with 581 points to win $50 each. To view photos from the event, click here.